Are summer camps exempt from FLSA requirements? A closer look at the recreational establishment exemption. 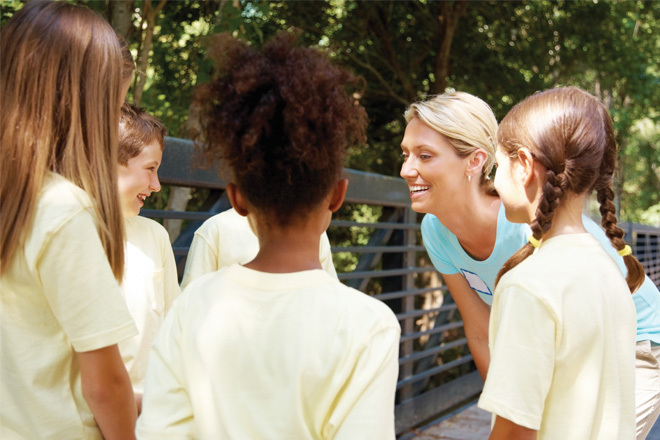 Summer camps can be an excellent source of auxiliary income, but schools may not be aware of the potential risks associated with running them, especially when it comes to properly classifying and paying camp employees. This issue was highlighted in a recent investigation by the Department of Labor (DOL) that resulted in a Miami independent school paying $635,269 to 461 employees for minimum wage and overtime pay violations over a period of two years. The DOL also assessed a fine of $47,578 in civil money penalties for violations of the FLSA’s child labor laws. The school believed the summer camp qualified under a “recreational” exemption, which exempts summer camp employees from certain wage and overtime requirements. But the DOL found the camp did not qualify. In the Miami case, the school believed the summer camp qualified under a “recreational” exemption under Section 13(a)(3) of the FLSA, which exempts summer camp employees from certain wage and overtime requirements. Thus, the school classified all counselors as “exempt” and paid them a flat weekly salary regardless of the number of hours they actually worked. The DOL found that the camp did not qualify for the exemption and, therefore, the counselors were misclassified as exempt and were owed unpaid overtime. The school also required summer counselors to attend 15 hours of unpaid training prior to the start of camp, time for which the DOL found they should have been paid at least minimum wage. In addition, counselors were required to attend an additional 30-to-45-minute weekly meeting not reflected in time records, and they did not clock in or out for work or lunch breaks, resulting in recordkeeping violations. Read "Messy Separations and the Role of Performance Management in Avoiding Them," an excerpt from "Culture Meets Compliance: the NBOA Guide to Assessing Human Resources at Independent Schools" by Grace H. Lee and Heather J. Broadwater. Purchase the book on nboa.org. Many schools operate under a similar belief that their summer camp qualifies under the recreational exemption of the FLSA. This exemption applies based on the operations of the summer camp itself, not the duties of individual employees. Thus, if the recreational exemption applies to the camp’s entire operation, camp employees are exempt from FLSA minimum wage and overtime requirements without needing to meet individual white-collar exemption duties tests. However, this exemption is limited in scope, and schools should take a careful look at whether their summer camp truly meets the requirements. Have average receipts for any six months of the preceding calendar year of no more than 33 1/3 percent of the average receipts for the other six months of that year. There is no interchange of employees between the units. A summer camp that runs as a separate entity from both a financial and operational standpoint may fall under the recreational exemption. However, the requirement that there be no interchange of employees between the camp and school may disqualify many schools. Regular school employees may not generally work at a summer camp, although the DOL acknowledges that a school-year employee may occasionally help when circumstances require it. For example, in a 2004 opinion letter, the DOL found that a horse stable that ran a summer camp did not meet the requirements of a recreational establishment exemption when two regular employees of the stable, the camp director and an administrative assistant, spent a substantial amount of time during the summer and the rest of the year administering the camp. Based on this fact, the DOL denied the exemption even though camp participants paid a separate enrollment fee, the camp recorded income and expenses separately, and the camp hired a separate staff. In addition, DOL guidance further narrows the exemption by stating that a summer camp may not be a part, continuation or extension of the accredited academic program of the school. For example, if students can earn academic credits for participating in summer camp, that may disqualify the camp from the exemption. Does the camp run more than seven months in any calendar year? Does the camp meet the revenue requirements? Do any regular school year employees work at the summer camp? Do any regular school year employees work on summer camp planning and operations? Do the summer camp and school maintain separate financial records? Is there overlap between the summer camp and the academic program of the school? As always, schools should seek the advice of legal counsel who can analyze the circumstances of the school with careful consideration of state and local laws that may also impact the analysis. Grace H. Lee, J.D., is NBOA’s vice president, legal affairs.